This is a no-nonsense guide to creating incredible photographs in nine different styles. Learn how to create: a natural light portrait, macro in the garden, an evening flash portrait, a landscape, street, abstract, low light flash, astrophotography and learn to nail long exposures. Get the settings and methods I use to create world class photos. 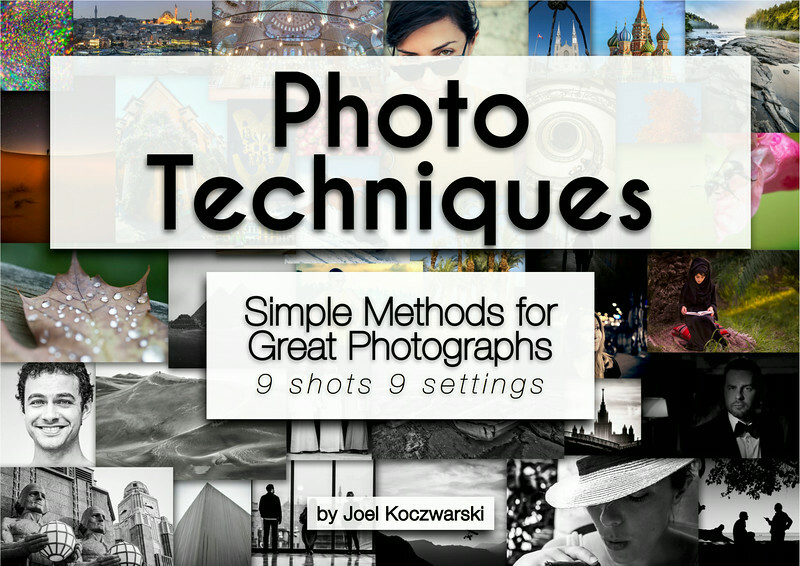 Photo Techniques - 9 Shots 9 Settings - Not a Paypal member? Click on credit or debit card.